St. Francis De Sales School is localed just 2-3KM from Electronic City, Bangalore established in the year 1982. They have both ICSC and State Board in English medium and Kannada medium. 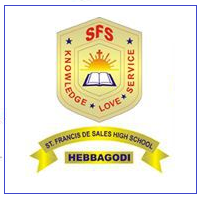 SFS Public School is being managed by Missionaries of St. Francis de Sales of South West Province. Pre School to Pre University classes are being offered. Age criteria: The child must be 4 years by June 2013. For fees and other details contact the school on the below phone number. Is your child already studying at SFS School, Hebbagodi, Electronic City, Bangalore?If you have got any feedback about the school or teachers, feel free to share it with our readers.